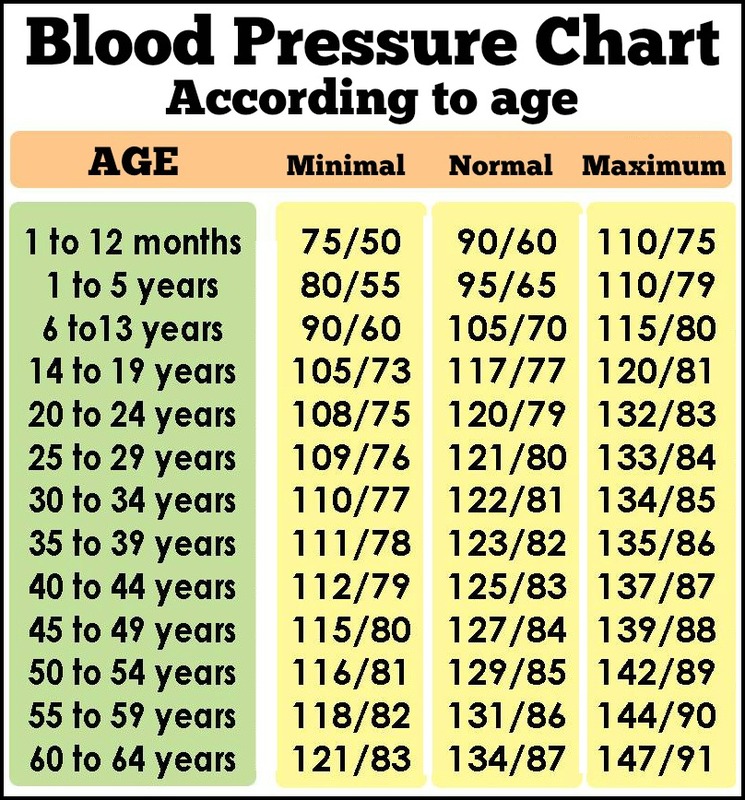 Daveswordsofwisdom.com: Blood Pressure Guidelines - According to age - PLEASE READ. Blood Pressure Guidelines - According to age - PLEASE READ. No blood pressure after 64.?..Gone? So does that mean if you are older then 64 then you don't have a heart beat in order to get any form of blood pressure???? now that people are living longer they should extend that chart to cover up to 90 years at least. We are both WAY over that limit. I am 76,but your chart does not go up that far, I take my blood pressure regularly,but am not on tablets. Why does it stop at 64? Wow, my blood pressure usually runs 88/65 and my doctor is fine with it. If it gets to be higher I have seizures. And I'm older than 5.